Every parent understands the need to have the best for their babies. Even for those with no children but who have friends with a new born, know how important it is to give the best gifts when they are invited to a baby shower or have to visit a new born baby. You want to buy a perfect gift that can not only easily stand out, but one that the new parents will cherish as well as help the baby. With this in mind, comes the need to choose a gift that is both functional and beautiful. With so many baby items to choose from in the market, from baby clothing to other baby essentials, it can be a bit difficult to narrow down your choices. But, there are several cute, cuddly, and innovative newborn baby gifts that can fit every budget. Below are 5 great gift ideas you can try out. There are various soft swaddle blankets available that have been uniquely crafted for babies. Most of them are made out of silk and breathable materials, making them an ideal choice for many parents. 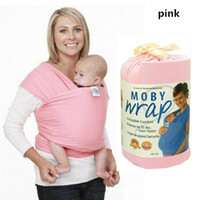 Many swaddle blankets can be used for multiple functions. Apart from a swaddle blanket serving the baby by keeping him or her warm, it is also perfect to use when the baby is sleeping, for cuddling, for nursing, as a burp cloth, as a stroller cover among many other uses. Swaddles are also easy to fit. Most are made with the right measurements to perfectly fit a baby every time you need to use them. They are also comfortable since they are neither too tight nor too loose. A baby teether is one of the most inexpensive gifts you will find in the market. Once the baby starts teething, the teether, which is made soft, hygienic silicone is quite effective. Because of its small size, a baby can grip it and bite while enjoying the feeling that comes with using it while the mother spends time doing other chores. It’s also long enough to reach the molars. Being BPA, PVC, and Phthalate-free it’s, safe for dishwashers and microwaves. Get this baby teether via Wellbeingkid. Baby gift sets comprise of a number of items that come is a package. A baby gift set might include a diaper bag with various baby essentials that act as a starter pack. Among the essentials can be baby diapers, soothing baby wipes, shampoo and body wash, and many other essentials. Other baby gift sets comprise of a set of plant-based baby skincare products. The products give your baby soft and fresh skin. We all know how much babies and kids love toys. Buy the softest stuffed bunny that a baby can cuddle or hug. Bunnies are also beautiful items to use as a decoration in the baby’s nursery. The diaper bag which can either be a shoulder bag or backpack is a stylish way for the parent to carry a baby’s items. There are so many great gift ideas, even brain toys and memory games are quite amazing. Whichever gift you choose it has to be functional, be durable, cool, have educational elements, and have a great value for your money so choose one after checking several reviews.